Mom says, "Avalon made a cute tank top for me this summer using 'cake flower' techniques. I love the look of these and think they have absolutely ENDLESS applications for designs. The dimensional fabric paint is perfect for this, because like a bead of icing it gives you enough color to spread and create this embroidered look. 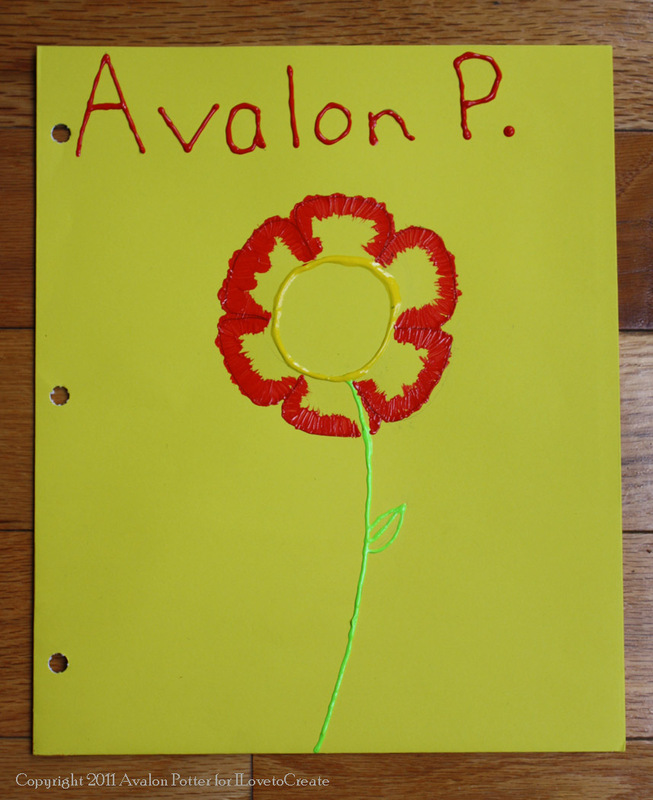 Very cool, Avalon!" I love to decorate cakes. One of my favorite techniques to use on cakes is called brushed embroidery. I was messing around with some Tulip paint and found this technique works just as well with paint as it does with icing! So being that it's back to school where I live I thought what better way to trick out my folder than to use my new technique. 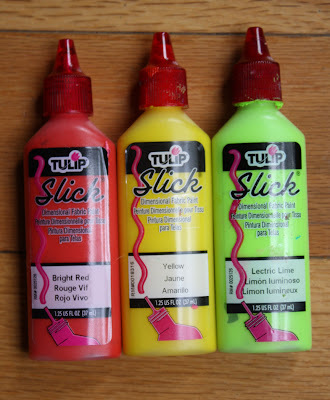 I have also used this technique on t-shirts and it works really well there too! 1. 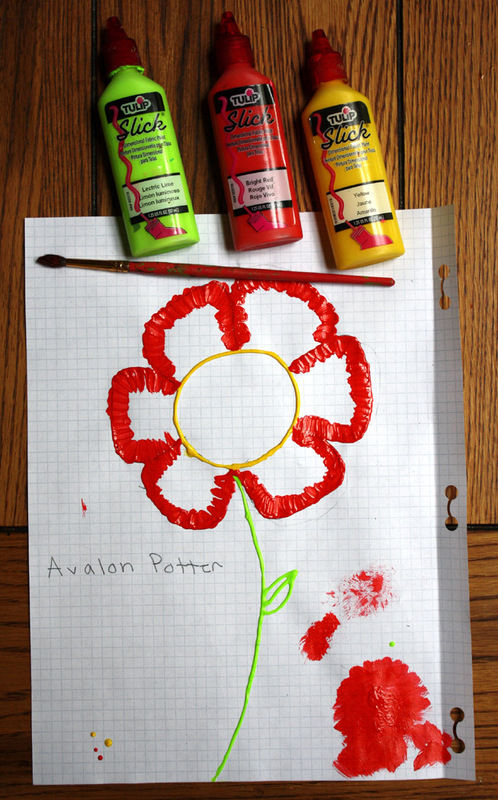 On your practice paper trace out your flower, then use the paint to trace over the flower. 2. On the stem use lectric lime, use yellow in the center, and red on the petals. Then take your brush and brush the red petals inward about half an inch. 3. 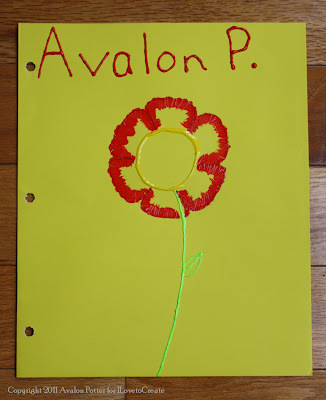 Once you have the technique down trace out your flower on your folder then paint over it. Use your brush embroidery technique on the petals. 4. On the top write your first name and first initial in red. Let dry.